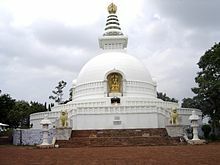 For other uses, see Ananda (disambiguation). 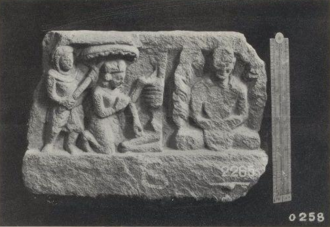 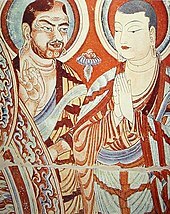 The First Buddhist Council began when Mahākassapa asked Ānanda to recite the discourses. 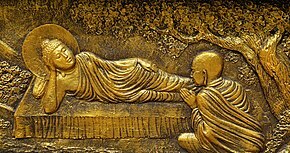 "He served the Buddha following him everywhere like a shadow, bringing him tooth wood and water, washing his feet, rubbing his body, cleaning his cell and fulfilling all his duties with the greatest care. 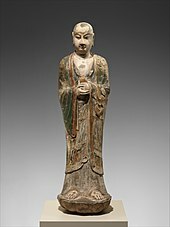 By day he was at hand forestalling the slightest wish of the Buddha. 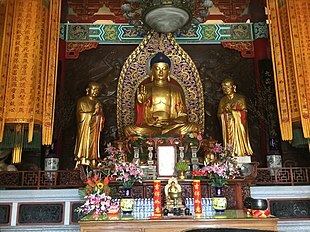 At night, staff and torch in hand, he went nine times round the Buddha's cell and never put them down lest he would fall asleep and fail to answer a call to the Buddha." 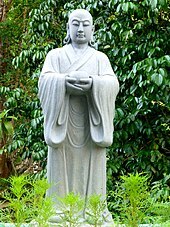 Ānanda, who is passed away." 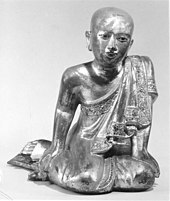 Wikimedia Commons has media related to Ananda.